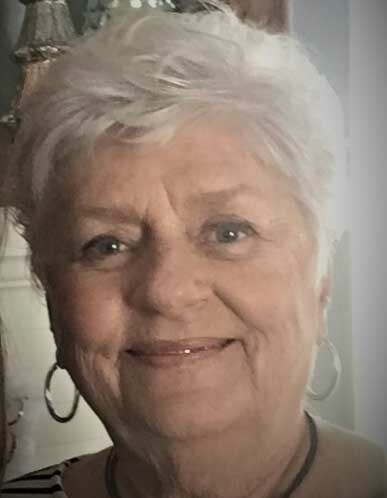 Carolyn Frances (Adams) Gentry, 75, of Kansas City North, and formerly of Laurie, MO, passed away May 13, 2018, at NorthCare Hospice House with her daughter Karen at her side. Visitation will begin at 11:30 am, followed by Mass of Christian burial at 12:30 pm, on Tuesday, May 22, at St. Andrew the Apostle Catholic Church, 6415 North Antioch, Gladstone, MO. Graveside services will follow at 5:00 pm, at Steedman Cemetery in Steedman, MO. In lieu of flowers, memorials are suggested to NorthCare Hospice House, 2800 Clay Edwards Drive, North Kansas City, MO 64116. Carolyn was born October 16, 1942, in Fulton, MO, the daughter of Frank E. and Mary Pauline (Sampson) Adams. Along with her parents, Carolyn was preceded in death by her husband, Robert E. Gentry; a sister, Mary Louise Mealy; as well as her three beloved Scotties: Angus, Jock and Maddie. Carolyn owned the first answering service in Johnson County, KS, and retired as the owner of an American Family Insurance agency in Stanley, KS. She was a member of St. Patrick Catholic Church in Laurie, MO, attended St. Andrew the Apostle in Gladstone, MO and was a member of the Osage Community Elks Lodge. Survivors include her children, Kathryn Casadei (Roger), Karen Manning (Roy) and Russell Gentry (Lona); grandchildren, Desiree Stephens, Angela Brooks, Heath Brooks, Madelyn Motsinger, Taylor Gentry and Allie Gentry; and seven great grandchildren. She also leaves siblings, Earl Adams (Ann), Emmett Adams and Brenda Bowen; as well as many nieces, nephews and other family members. Carolyn was my cousin through marriage to Bob. She was always a class act. Sweet and welcoming. I will always remember her beauty and grace. She will be missed by all who knew her I am sure. May she rest in peace now with her maker as she joins Bob once more. Prayers to her family! For all the family, Our Lives and memories are enriched because of the gracious lady that Carolyn was. The laughter we had with Bob & Carolyn and the joy with the kids, was some of the best memories we have in our lives. God bless you all. You're being comforted by the best, the Lord so we get in agreement that we all be together someday soon. God bless you all.